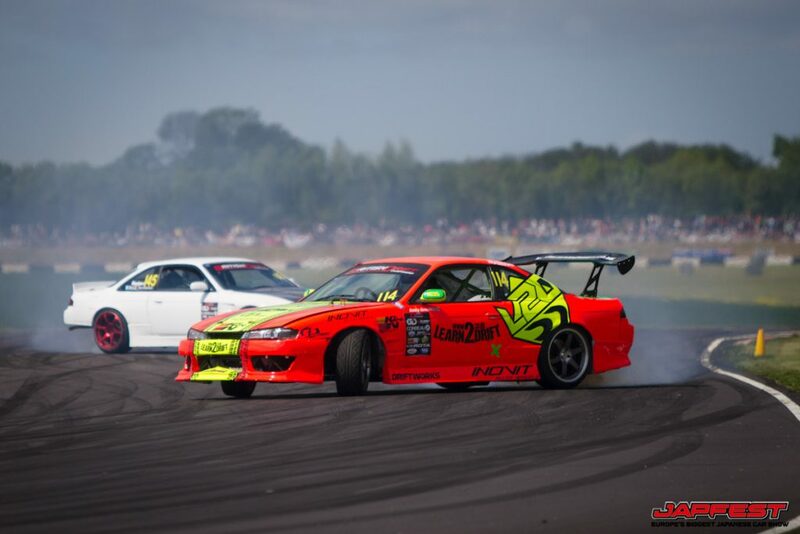 The high octane, adrenalin pumping, tyre smoking highlight of Japfest is to make a return this year as Drift Kings 2016 becomes one of the highlights of the show at its iconic new venue. Japfest, the UK’s premier Japanese car show, takes place on April 24th, 2016, at Silverstone, the home of British Motor Sport, after reaching capacity at its previous venue with over 16,000 attendees and 3,500 cars on display or on the circuit. Drift Kings, run in association with the British Drift Championship (BDC), is expected to be the eye-catching show stopper, with drivers and drift cars from all over Europe coming together to thrill the crowds, with judges awarding marks for style, skill, smoke and speed as entrants compete for the £1,000 top prize. 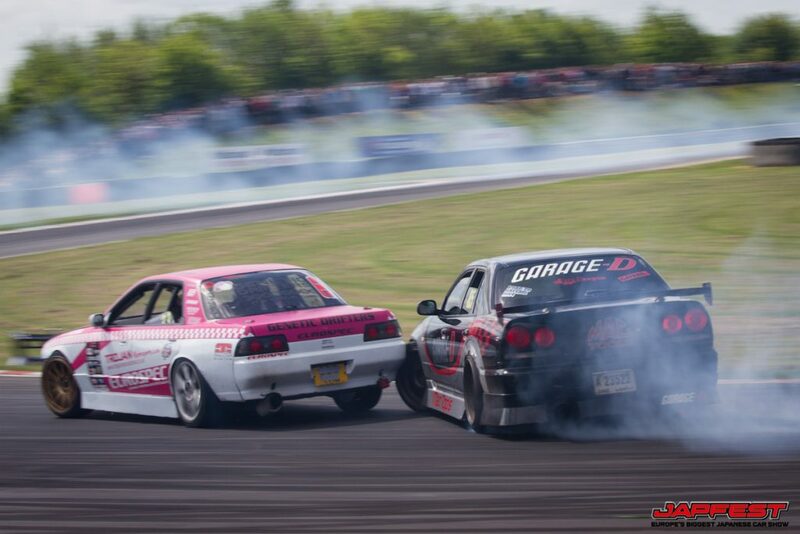 Last year’s Drift Kings winner, Chris Smith, is looking forward to the opportunity to retain his crown. 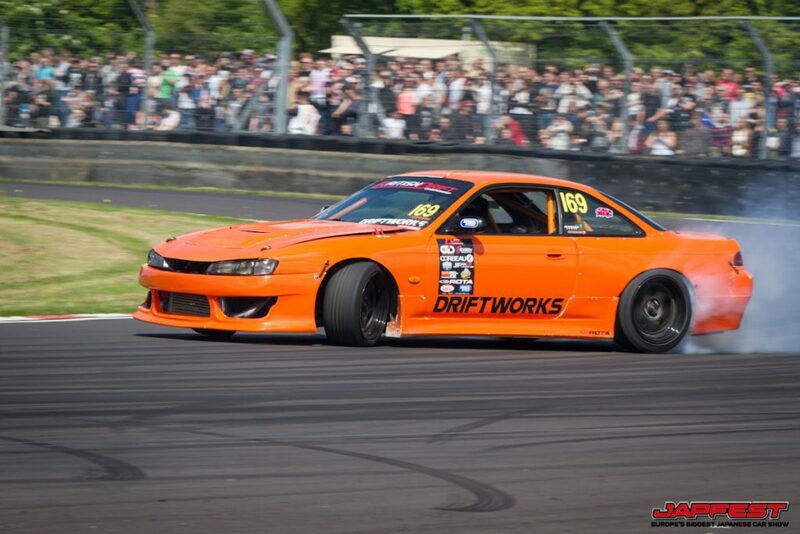 Chris will be looking to retain his title in his Driftworks prepared Nissan 200SX, but faces stiff competition from some of the best-known names in drifting. Aside from the Drift Kings competition, Japfest promises to be the biggest and best show of its kind, featuring scores of the best Japanese cars in the UK and from across Europe. At the heart of the display area will be Fast Car magazine’s Japanese Car Culture Collection, celebrating some of the scene’s most dramatic builds, including past, present and future feature cars. Thousands of display cars representing the UK’s major Japanese car clubs will fill the vast Silverstone site, alongside individual entries and the largest trade and exhibition area of its type. The original Japfest will spearhead a trio of events under the iconic banner in 2016. Japfest Rock! (the new name for Japfest 2) returns to Rockingham Motor Speedway on June 26th, while a brand new, third Japfest event will also be added to the calendar. 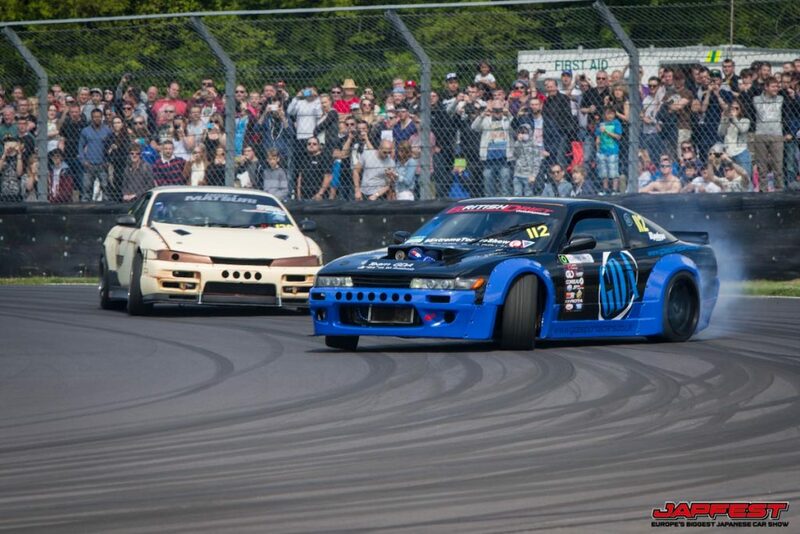 Taking place at the Hop Farm near Paddock Wood, Kent, on September 11th, Japfest Motorsport Heroes will be a special event celebrating some of the most iconic and significant Japanese cars from the world of motor sport, along with their roadgoing equivalents. Full details of the show, the cars and the various activities will be announced nearer the date, on the event website, or via the official Facebook page and Twitter feeds.